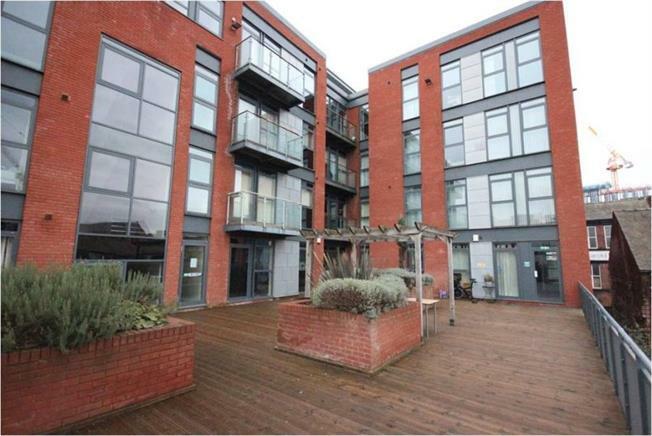 1 Bedroom Upper Floor Flat For Sale in Sheffield for Guide Price £100,000. Enjoying views over the landscaped communal grounds & across the City Centre, this is a particularly large and airy one bedroom apartment which is located on the second floor with a spacious open plan living area and balcony. Benefiting from electric heating, double glazing, allocated parking space in the secure underground car park & available with no chain involved. The flat is situated in the heart of Sheffield City Centre, enjoying its excellent shopping facilities & amenities, regular bus & tram services, bars, restaurants & within a short distance of access to the motorway networks. Comprising: communal hallway with stairs and lifts to all floors, private inner lobby, a large open plan living space incorporating living, with access to the balcony and kitchen area with a range of light maple finished units including cooking appliances, one double bedroom, and bathroom/WC in white. Secure allocated underground parking space & communal landscaped gardens.